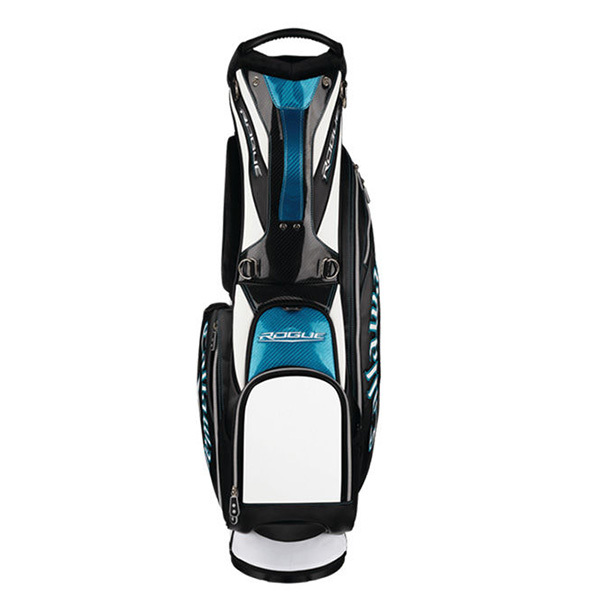 If you are looking for a Tour Style golf bag, the Rogue Staff offers superb storage and organisation, without the weight of a full size golf bag. 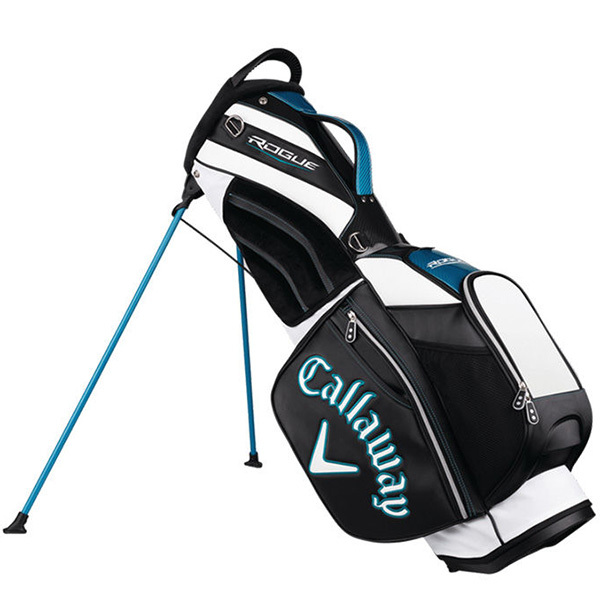 Carrying a bag has never been easier, thanks to an ergonomic grab handle for short distance lifting, combined with an automatic stand, soft hip pad, and comfort shoulder strap for optimum comfort. 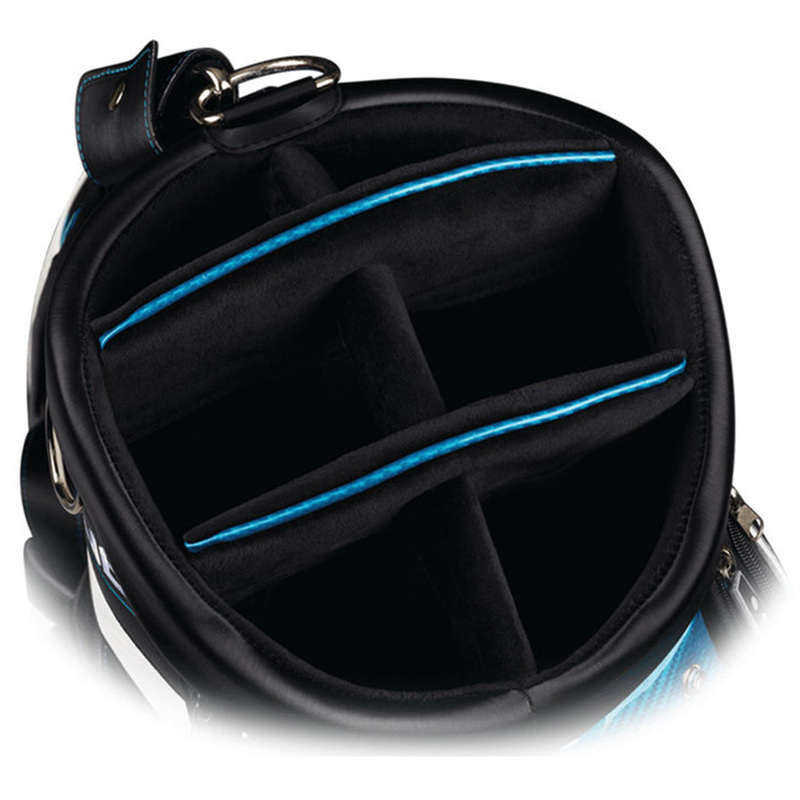 In addition 7 pockets help to keep all your apparel and accessories organised, these include a velour-lined valuables pocket, a logo ready ball pocket, and full length apparel pocket for your convenience. 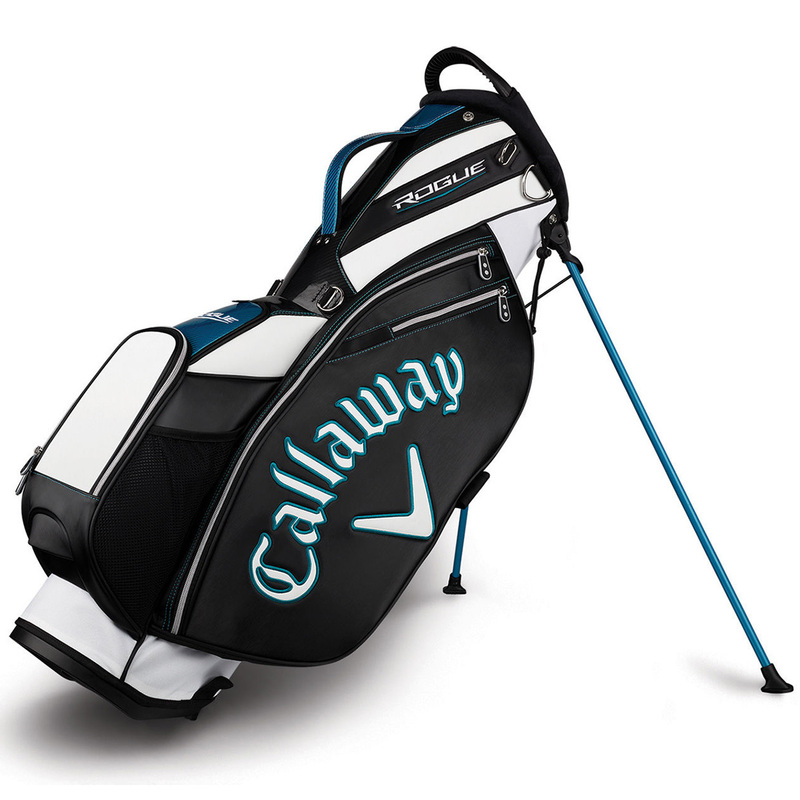 To set out your golf clubs a 6-way top organises your clubs for better club selection, with velour wrapped dividers to give added club shaft protection. Other benefits include a matching rain hood, and has non-slip foot pads for increased stability when placing on the ground. Weight 6.4lbs.